Interested in a specific procedure? When it comes to caring for your smile, we stop at nothing less than excellence. Town Center Dental of LaGrange is a modern dental practice that serves patients of all ages with a complete menu of dental services. Whether you need to maintain the health of your teeth and gums, restore damaged or missing teeth or enhance the appearance of your smile, we can help you. 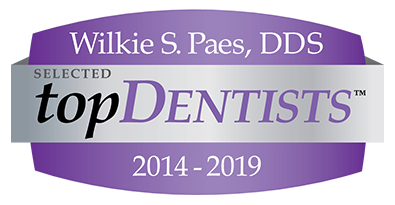 Dr. Wilkie S. Paes is a skilled dentist who offers general, restorative, cosmetic and implant dentistry under one roof. We love giving families the convenience they need when it comes to their dental care experience. Your comfort comes first at Town Center Dental of LaGrange. Not only do we offer the latest in dental technology to streamline your treatments, but we also provide modern patient amenities and sedation dentistry to help you stay relaxed. Whether you are bringing in your child for a first dental cleaning or getting a full mouth reconstruction with dental implants, you can trust Town Center Dental of LaGrange to create a positive and rewarding visit from start to finish. For affordable care, flexible scheduling and exceptional service, contact Town Center Dental of LaGrange today. We look forward to helping you attain your best smile possible.